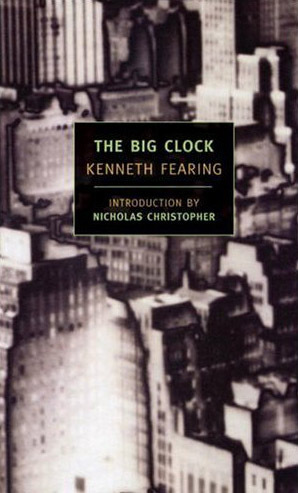 Poet / Writer Kenneth Fearing hit the jackpot with his suspense thriller novel “The Big Clock” in 1946. Up until that time, Fearing was most widely known as a poet, and we all know how much or how little money poets make. Just to keep himself and his family afloat, he wrote pulp and mystery novels. But “The Big Clock” is no ordinary mystery novel; it has one of the most original and suspenseful plots ever devised. The plot of “The Big Clock”, could be called a whodunit-in-reverse. I won’t describe it any further, because the plot’s structure is such a thing of beauty I want you to discover it for yourselves. The publishers and the movie executives recognized right away the value of “The Big Clock”, and in 1946 Fearing made $10,000 in book royalties and $50,000 for the movie rights. These $60,000 dollars in 1946 would be worth over a million dollars today, and the Fearings should have been set for life. However Fearing was a poet not a deal maker, they spent the money extravagantly, and Fearing, an alcoholic for most of his adult life, was near broke again by 1951. “The Big Clock” as a novel is just as fresh, powerful and original today as it was in 1946. 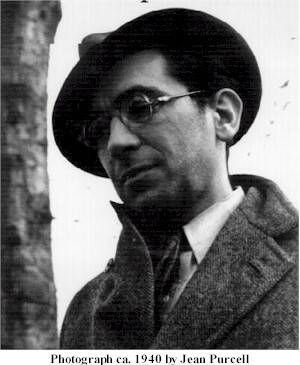 New York Review Books (NYRB) republished “The Big Clock” along with another of his novels, “Clark Gifford’s Body”, in 2006. I don’t read many suspense thrillers, but this one I thoroughly enjoyed; I loved its jaunty debonair style. As I researched this article, I discovered that Fearing left behind some strong poetry too. Here are some excellent lines from his poem ‘1-2-3 was the Number he played, but Today the Number Came 3-2-1’. I’m going to end with a complete poem by Kenneth Fearing which I only discovered today, and already I can’t help but think this poem is one of my favorite poems of the twentieth century. a swindler, but simply a guy, on the eccentric side, trying to get along. Because I forgive you, yes, for everything. I forgive you, to put it simply, for being alive, and pardon you, in short, for being you. Come back. We will have a celebration to end all celebrations. boys from the office, and some other friends. upstairs, and a few reporters, if anything should break. The poetry looks good! A very American voice. I’ve never heard of Fearing. Most of these NYRB books are wonderful and I rely on them the way some readers rely on their Viragos. I am very happy someone actually read the poems. I don’t expect everyone to find them as amazing as I do. For me Kenneth Fearing is now on that short list of excellent poets.